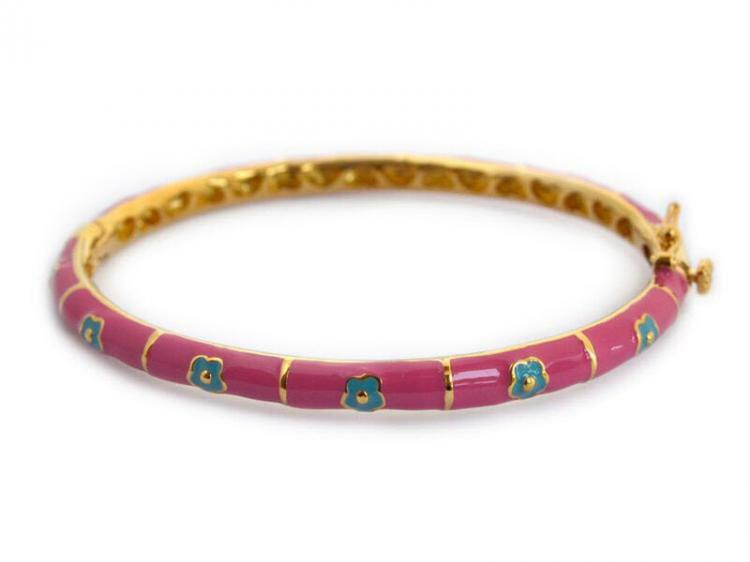 My daughter loves this adorable kids pink bangle with little blue flowers and your daughter will too! It makes a great gift for any girl. Price: $28.00 In stock! - Browse this brandOur products are custom made to your specifications. This product ships up to 3 weeks after your order is placed.